September is Childhood Cancer Awareness Month! Plus an Important Statistic About Funding for Cancer Research. My family and I finally got away for an end-of-summer trip to Tahoe for a soccer tournament with my awesome team. It was so much fun! 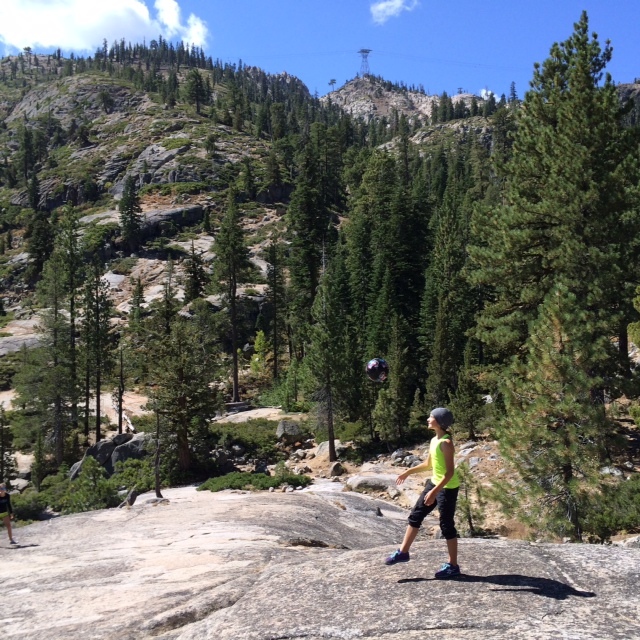 I got to do a few juggles on an amazing hike in a beautiful setting. Today is my first day of school, and I’m really excited. I can’t help but think about the kids at St. Jude who don’t get to go to school with their friends. During Childhood Awareness Month, my donation page will stay open, so please, please, please DONATE if you can! Every dollar helps save a life, just like every juggle counts. I set my goal high for raising $40,000 this summer because kids with cancer deserve our help. We still need about $15,000 more. I’m not giving up hope yet! Did you know that only 4% of money donated for cancer research goes to childhood cancer? Crazy, right? So please help change that statistic by donating to the amazing St. Jude today! Previous postDays 45-47: 140, 340, and 296 Juggles. Plus: It’s Been a Super Meaningful Week for JUGGLING FOR JUDE! PLUS: BRAIN CANCER STINKS! Let’s Make it Stop! Next postA Little Help from Friends/Teammates to Raise more Money for the Kids at St. Jude!